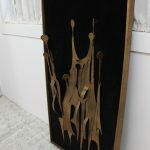 This beautiful piece of art is simply great! 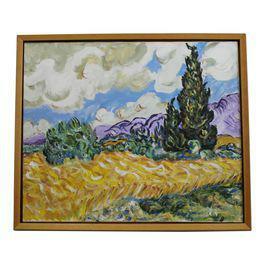 It is in the style of Paul Evans and it is framed and mounted over a black velvet rectangle. 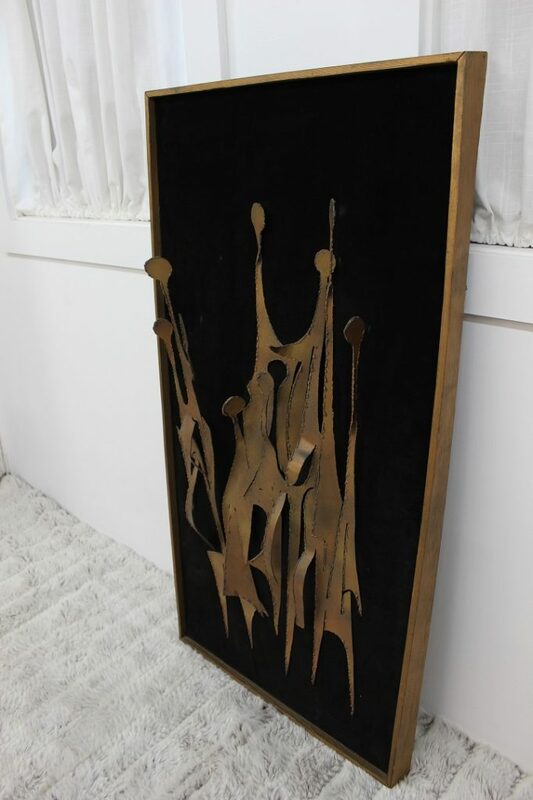 It is made of copper and it represents like a bunch of people. 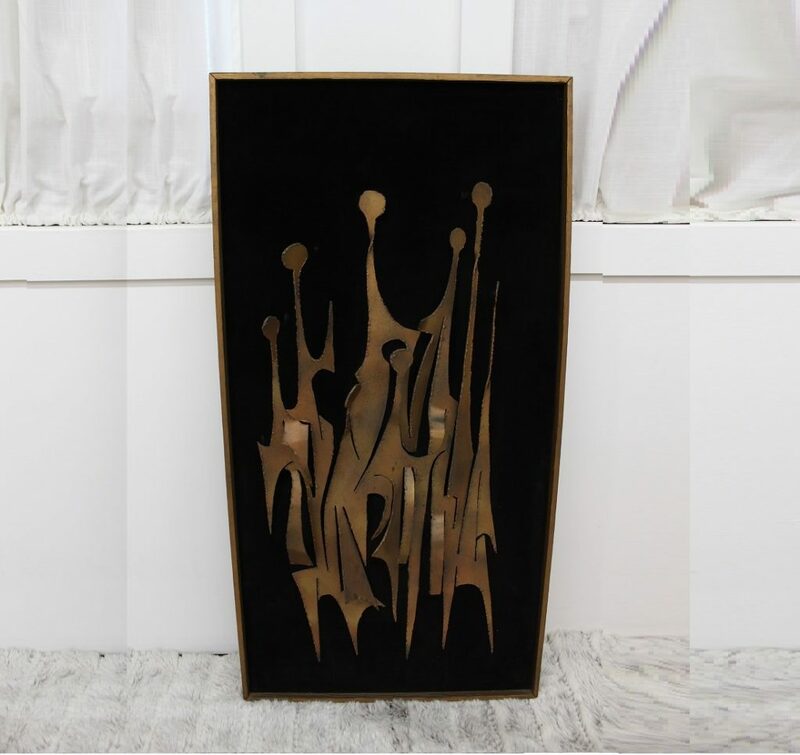 This framed sculpture measures 48″ by 24″. 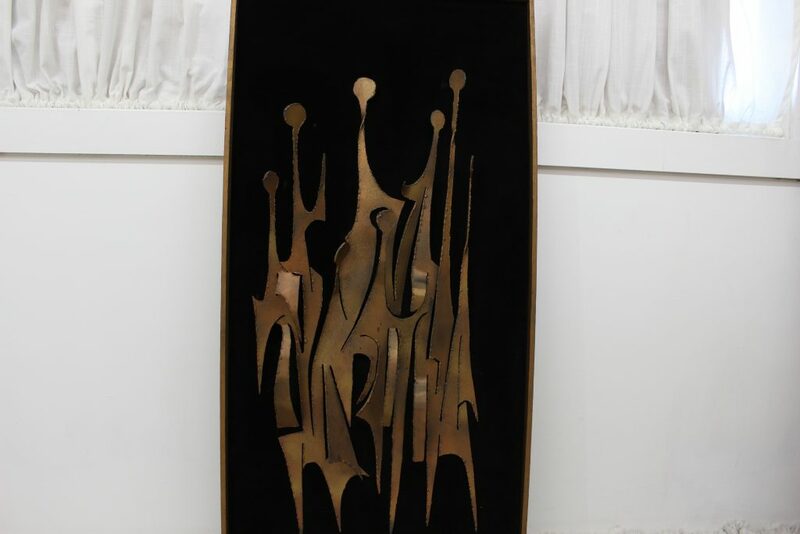 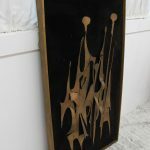 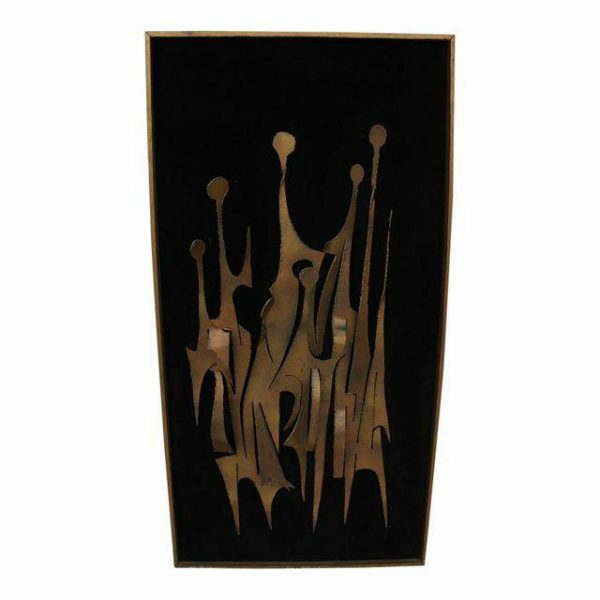 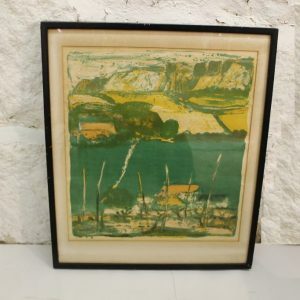 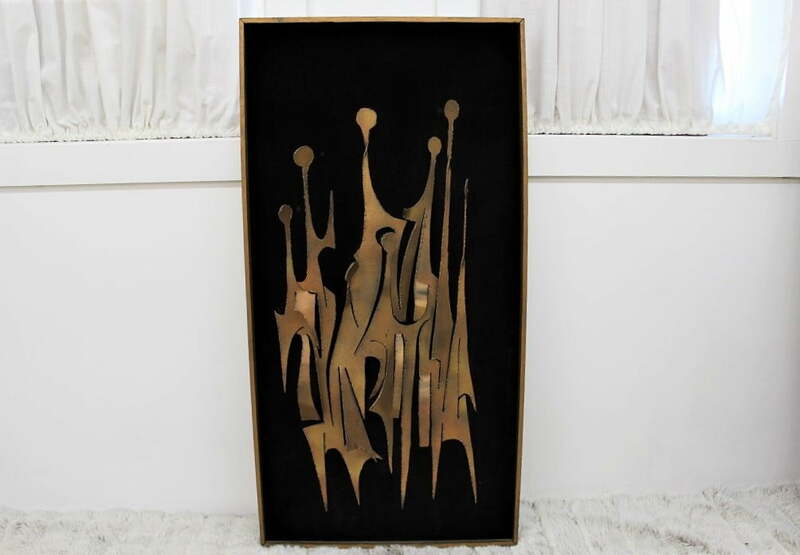 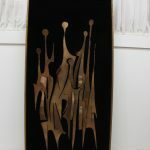 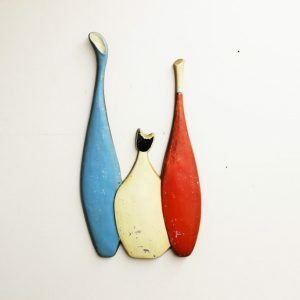 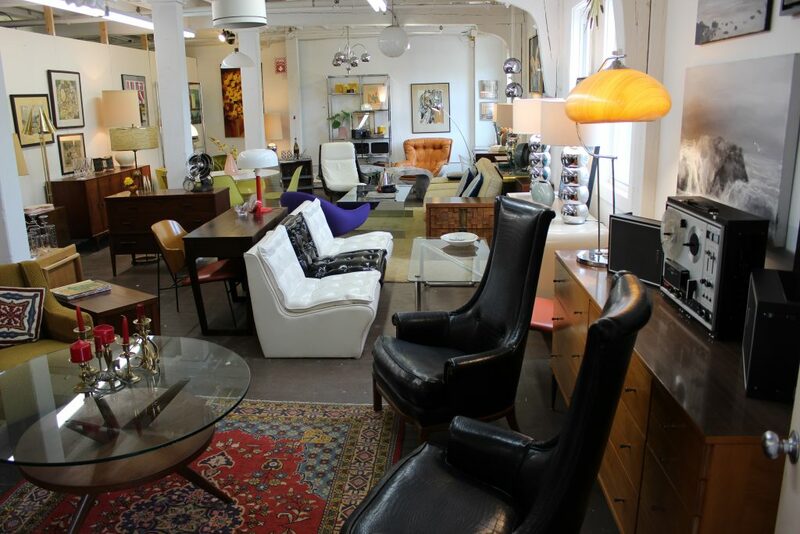 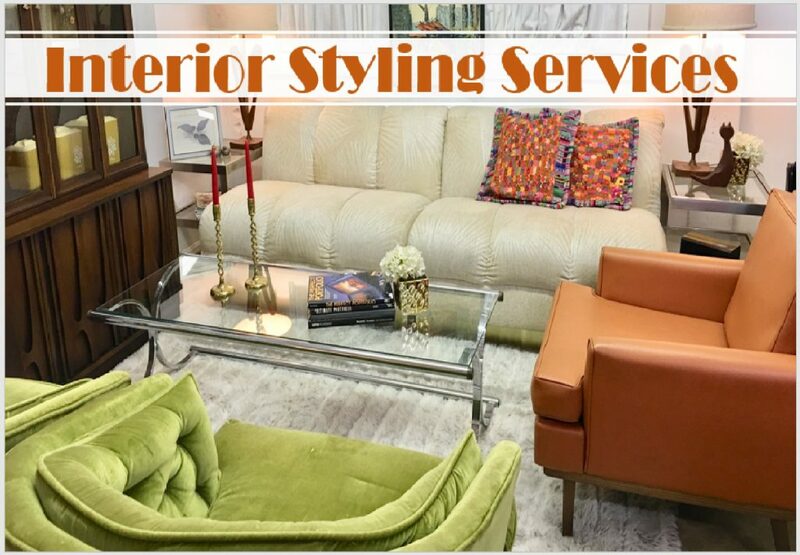 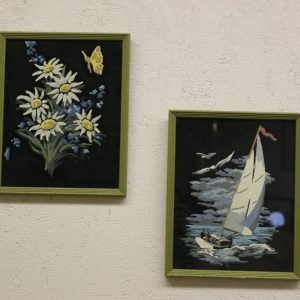 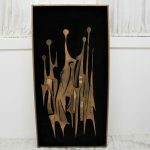 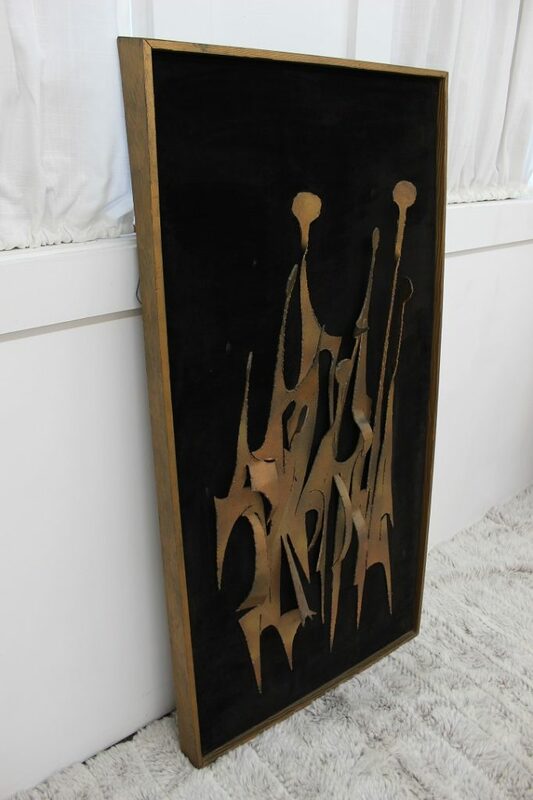 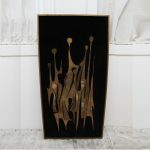 This is a great example of the Mid Century Modern period, so don’t miss this chance to get it and make it part of your collection.